Республикæ Хуссар Ирыстон Кавказы тæккæ астæу, Европæ æмæ Азийы 'хсæн ис. Уый ахсы Стыр Кавказы хуссар фарс æмæ Карталийнаг тыгъдады цæгаттаг хай. Административон æгъдауæй дих кæны цыппар районыл: Цхинвалы район, Дзауы район, Ленингоры район æмæ Знауыры район. Хуссар Ирыстоны промышленон, культурон æмæ административон центр у йæ сæйраг сахар — сахар Цхинвал. საქართველოს დამოუკიდებლობის გამოცხადების შემდეგ საბჭოთა კავშირის მხრივ დაიწყო პროვოკაციებისა და შანტაჟის კამპანია, რომლის კულმინაციაც გახდა გორბაჩევის მუქარა პრეზიდენტ ზ.გამსახურდიასადმი: „საქართველოს საბჭოთა კავშირიდან შეუძლია გავიდეს, მაგრამ სამხრეთ ოსეთისა და აფხაზეთის გარეშე“-ო. Республика Ю́жная Осе́тия (осет. Республикæ Хуссар Ирыстон; груз. სამხრეთი ოსეთი /самхрэти осэти/) — Независимость Южной Осетии признана Российской Федерацией (26 августа 2008), Никарагуа (3 сентября 2008), а также Абхазией и некоторыми непризнанными государствами. South Ossetia is a self-proclaimed republic within the internationally recognized borders of Georgia, bordering on Russia (North Ossetia-Alania). Although this former Soviet autonomous oblast (region) has declared its independence and is in de facto control of a significant part of the region, South Ossetia's separation from Georgia has been recognized only by Nicaragua, Russia, Venezuela, Nauru, the partially-recognized Abkhazia, and the unrecognized Transnistria, and is regarded as a de jure part of the Georgian region (mkhare) of Shida Kartli. Georgia does not recognise South Ossetia as a distinct entity, instead referring to it by either the medieval name of Samachablo or, more recently, Tskhinvali region (after the republic's capital). More images South Ossetia - South Ossetia (Category). Rayons (yellow, numbered) and the capital city (red) of the Republic of South Ossetia. The borders according to the Soviet ones. Rayons: 1. Dzau rayon. 2. Znaur rayon. 3. Tskhinval rayon. 4. Leningor rayon. The most part of the Leningor rayon is controlled by the central Georgian authorities, most of the other territories are controlled by separatist government in Tskhinval. This section holds a short summary of the history of the area of present-day South Ossetia, illustrated with maps, including historical maps of former countries and empires that included present-day South Ossetia. 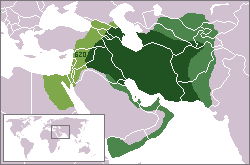 Map showing distribution of speakers of Scytho-Sarmatian languages, c. 100 BCE. Borders of modern North Ossetia (Alania) and South Ossetia compared with borders of medieval Alania (10th-12th century) - according to Ossetian historian Ruslan Suleymanovich Bzarov. [[|border|251x400px]] Conflicts in Georgia. 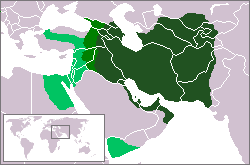 This map shows a (subjective) pro-Georgian view of the conflicts. ↑ Romanization of Russian according to the BGN/PCGN standard: Tskhinvali. Another used romanization is the ISO 9 standard.